SAP Business One can go a Long Way in Enhancing Accounting and Financial Management: Learn How! Your small or medium business would be progressing at a swift rate. There will also be increased complexity for controlling its financials. Yes, there is accounting-only software that helps you kick-start this. However, all you need in this cut-throat competition is a software that gives a new dimension to your business. You practically need software that automates day-to-day financial activities and integrates them with different business processes. Here comes the role of the Best ERP software, SAP Business One. You require an integration solution to organize every accounting and financial processes in your progressing organization. This includes accounts payable, accounts receivable, posting of journal and ledger entries etc. The solution should unwaveringly grow with your business. SAP ERP is the best solution for this. The SAP B1 software will aid in providing you with a glimpse of your overall business in a highly timely fashion that you will be in a situation to assess the ideal requisites to get optimum profit. Account and business analytics are the most difficult to make out and integrating them into your ERP can provide a thorough interpretation of your accounts. You will get an enhanced, more efficient procedure of financial and risk control through this. 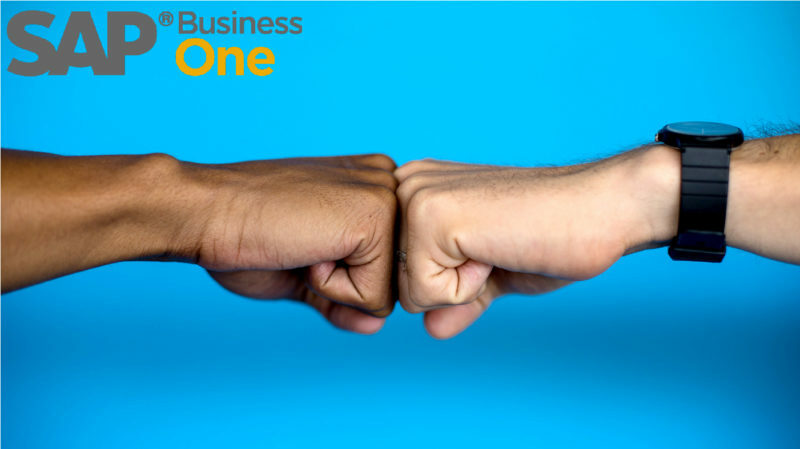 We all know that cash flow is the core of any company and SAP Business One, which is an SME ERP, will provide you with an enhanced cash flow with fewer costs. Raising your revenue, accomplishing targets in a timely basis etc. can be accomplished with SAP B1, which helps in growing your business with ERP. There is a fair raise in productivity and prosperity of your business with SAP Business One. It lets you decrease the problem of losing assets that leads to low insurance costs. Accounting and financial data are conveniently accessible and you can take decisions in an informed manner. This is done with real-time information. To be precise there is the benefit of ERP implementation: simplify decision. Whatever flaws are available in the existing financial procedures you can set it right with the help of this best ERP. This is an era of great innovations and new technologies are cropping up every day. When you invest in amazing technologies then you always get the best interest. The SAP Business One when well deployed can offer your company with several advantages which will finally make you reap better results.